Phoenix FD is Available for 3ds Max and Maya. Phoenix FD is an all-in-one solution for fluid dynamics. Simulate fire, smoke, liquids, ocean waves, splashes, misty, spray, and more with Phoenix FD. Used by major VFX artist, Phoenix FD has been used by used by several television series include Game of Thrones and The Flash. Phoenix FD is equipped with a large array of tools and the power to simulate large, complex scenes while maintaining high quality productions. Integrating seamlessly with 3ds Max and Maya, Phoenix FD is optimized to render with V-Ray. 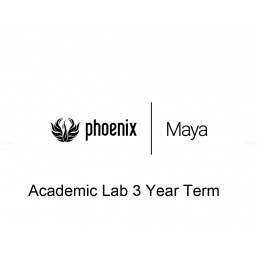 Purchasing options for Phoenix FD for Maya and Phoenix FD 3ds Max include perpetual and rental (short term and long term) licenses. Free, full functioning evaluation licenses available upon request. Email sales@vray.us for more info.